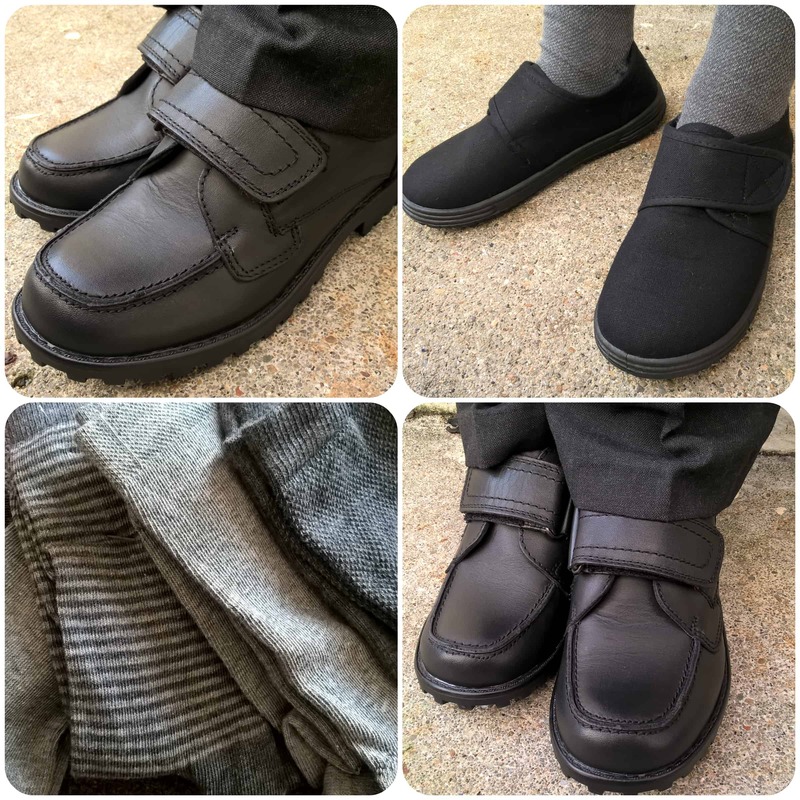 Treads are a brand that believe they have created the ultimate school shoe, one that is indestructible during playground play, where the stitching will not come undone and the soles will not wear out. In fact they stand by this claim and offer a 12 month guarantee by which if any part of the shoe does fall apart during normal wear then they will replace the shoe free of charge. With a selection of 8 boys shoes available at them moment I think the styles cover all tastes and likes so there is something for everyone. There is also a line of girls shoes due to come out next year so keep you eye out for those – I certainly am! We decided to try out the Madrid shoe from Treads, a very sturdy looking shoe with velcro fastening, just what my little boy prefers. I was particularly attracted to the extra strengthened toe area which looks like it will stand up to a lot of wear and avoid that dreadful scuffed toe look. The shoes also have dual fit technology meaning that by simply removing the orange mid layer inside will make the shoe wider, giving a more comfortable fit for those with wider feet. As you can see in the pictures below the shoes look very smart on my boy and I just love how incredibly sturdy and durable they look. They are comfortable and stylish for the school day, but also suitable for all those playground games, running around and football that take place at break times when we see the majority of damage occur to school shoes. We are really happy and impressed with the Treads school shoes so far and are keen to see how well these will fare over the next few months. If we can get anywhere near 12 months from them before his feet grow I’ll be very happy to say the least, normally at the end of each term his shoes look wrecked, so I’m hoping these live up to their indestructible claims. All I can say so far is they certainly look incredibly durable, well built and tough so I have high hopes! Head over to Treads now for a look at their school shoes range and let me know what you think? 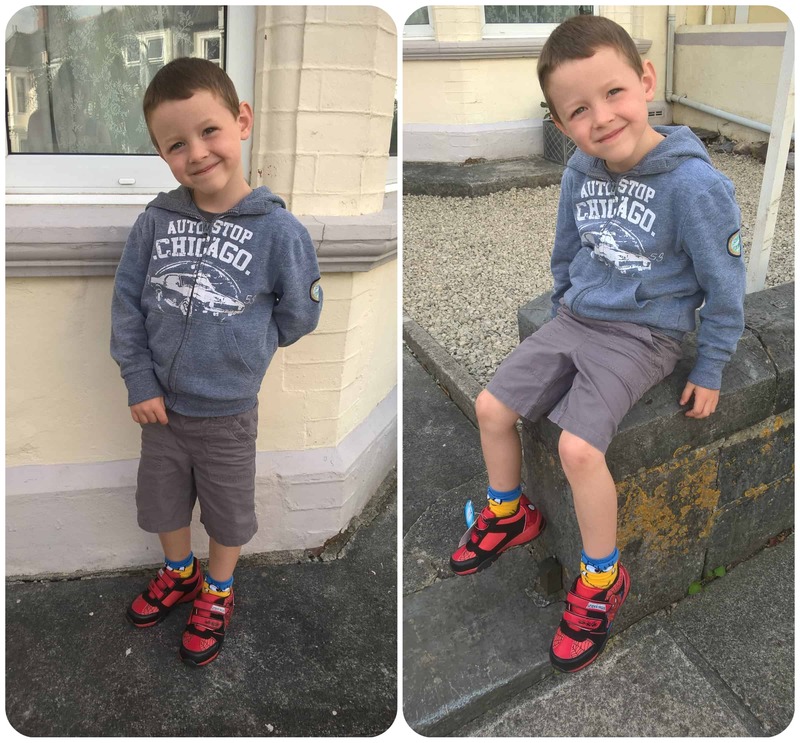 Term School Shoes are the latest edition to the Term range of shoes and if they are anything like their wellies then I know they are going to exceptionally high quality, durable and last well so I was keen to try them out with my little boy. We tried the Term Chivers style with a double velcro opening which I knew would be easy and simple to operate for my boy as he’s not yet comfortable with laces. On first inspection I could tell that these shoes look really durable, like they’ll last hopefully as long as my child fits them. They have flexible thermo rubber soles and a comfortable insole featuring cushioning for day long comfort. Also a soft collar in the heel area protects against sores and rubs. I like the way the sole comes high up around the heel and front of the toe area to protect against scuffs and will withstand play and tumble in the playground and after school visits to the park. The uppers are made from high grain leather made to last and will protect through various weather and scuffing. So our thoughts on the Term Chivers boys school shoes? We love them! To be honest we can’t fault them so far. On the first feel and look you can tell they are a quality piece and so far they are lasting incredibly well. There are no signs of wear, they look strong and durable, the stitching is tight and I’m confident these shoes will outwear any previous brands that we’ve tried. 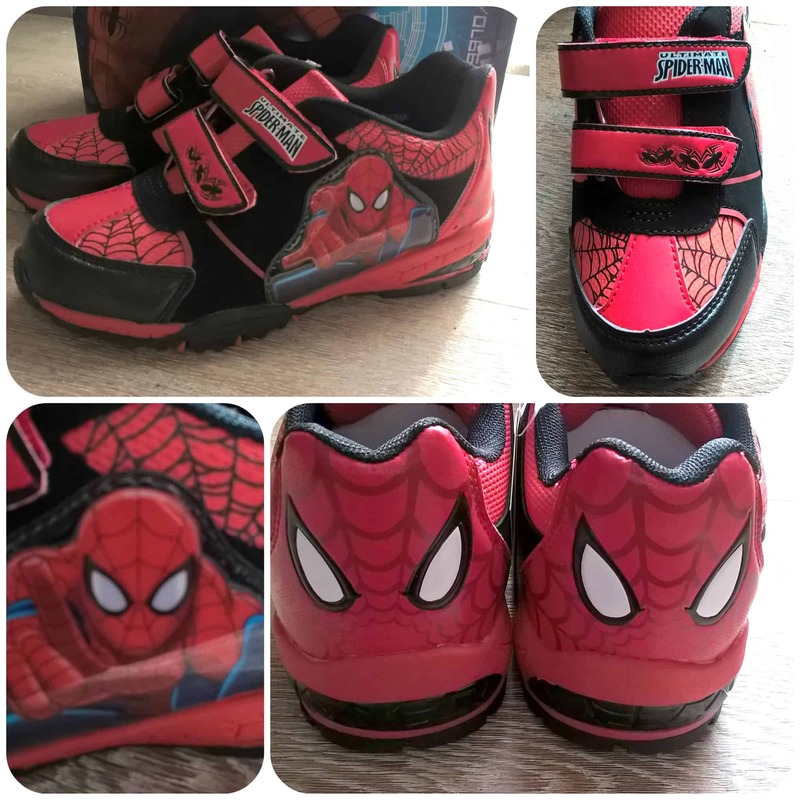 Yes, these are expensive shoes but are inline to the couple of market leaders in school shoes so I think this is definitely a top competitor that you need to check out as personal experience with some of the other suggest that these could even be better! Why not try them for yourself and see? They are a solid stable shoe that is appealing to look at, comfortable to wear and easy for a child to secure – what more could you ask for? If you are looking for school shoes for September than I highly recommend that you check Term out. A must for school uniform is name labels, there’s nothing worse than not knowing which school cardigan is your child’s, just because you forgot to name it. 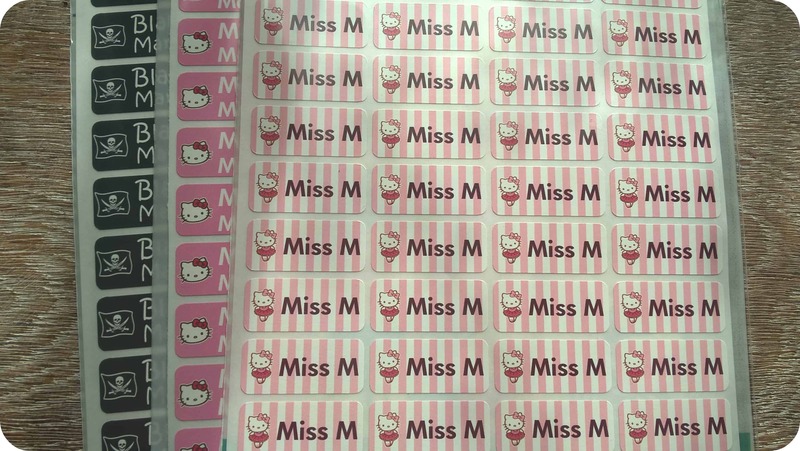 My Nametags have just the answer with these easy to use stick on labels. We received a couple of the Hello Kitty designs to try and a pirate design for Mister B. 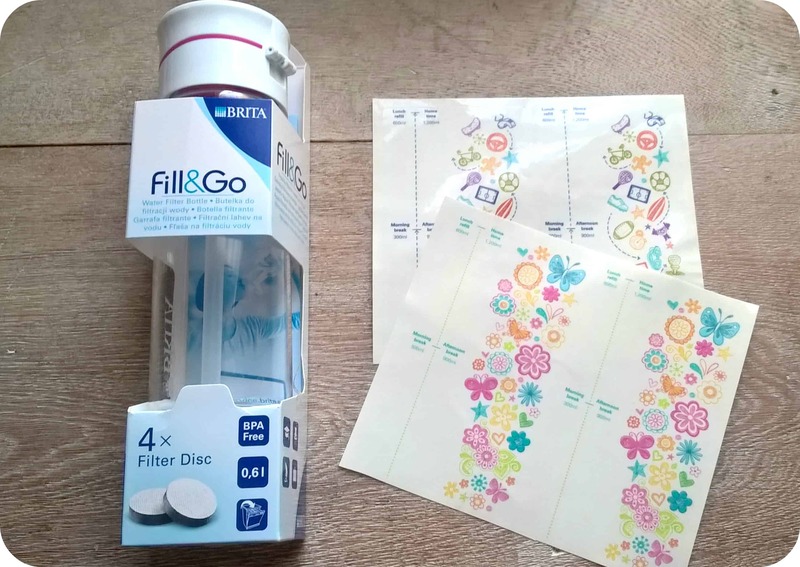 These stickers are really strong and can be stuck to lots of things such as lunchboxes, pencil cases, books, rulers and most importantly labels in clothing! This is really useful as it means they are so simple to apply, it literally takes a few minutes and you can have the entire set of school uniform labelled. Being versatile is good too, meaning you just need one set of stickers for everything. One thing I think these will be great for are the insides of shoes, in particular plimsolls – I hate trying to write a childs name in biro inside, so these will be brilliant so each child can identify their own shoes. The labels, although being stickers do feel and look really strong and durable. They can be washed up to 60 degrees provided they have been stuck to the label and not the clothing itself. 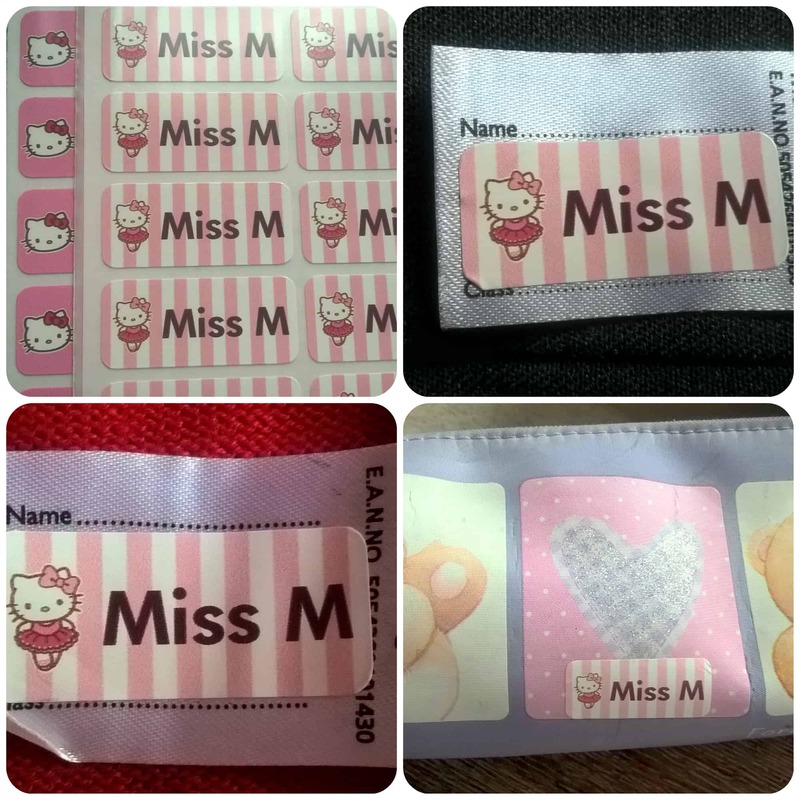 I found these really easy to use and Miss M even enjoyed helping me label her items. 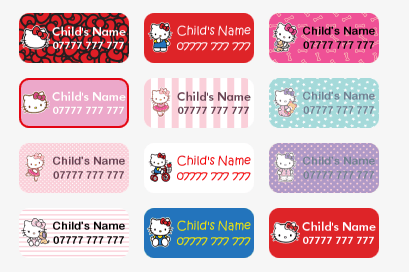 With 56 labels in each set there is plenty to personalise all your school items so why not give My Nametags a try? 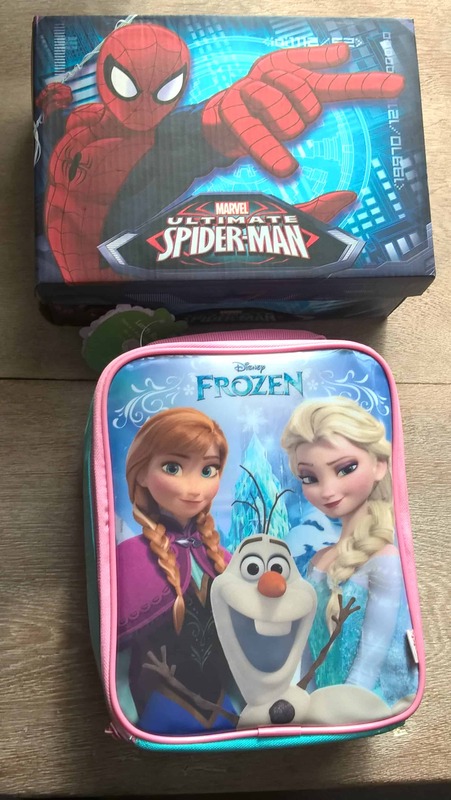 All reviews are my own and my family’s opinions and we received the labels in order to write the review. 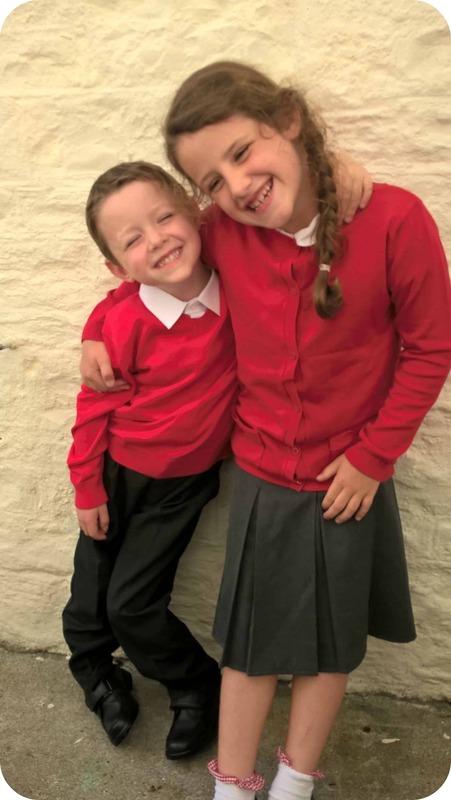 Anyone with children will know that the summer holidays means purchasing school uniform ready for the start of the new school year in September. 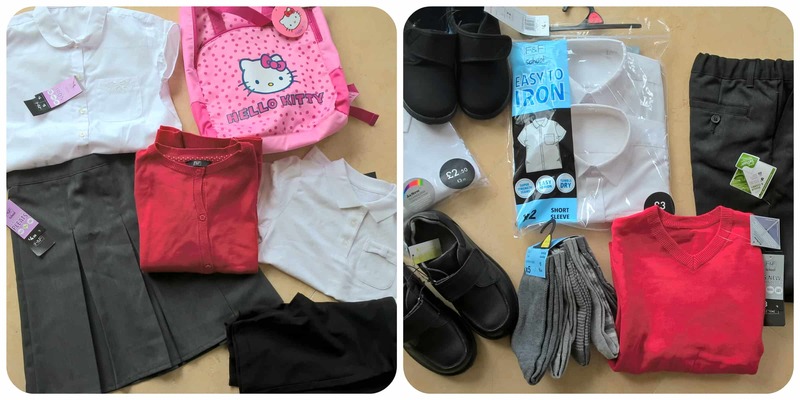 With two children in primary school this September, a girl and a boy means I require two sets of uniform, therefore I want it to be good value to buy and also items that will last. I also like something a bit different especially for girls rather than completely plain, and I have to say I’ve been very impressed with what F&F have to offer this year. As you can see above both my children were very excited to try their uniform on and big sister Miss M was so proud of her little brother and thought he looked very smart! F&F really do cover everything you need to get back to school from the basic uniform, to P.E. kit, shoes, bags and accessories. 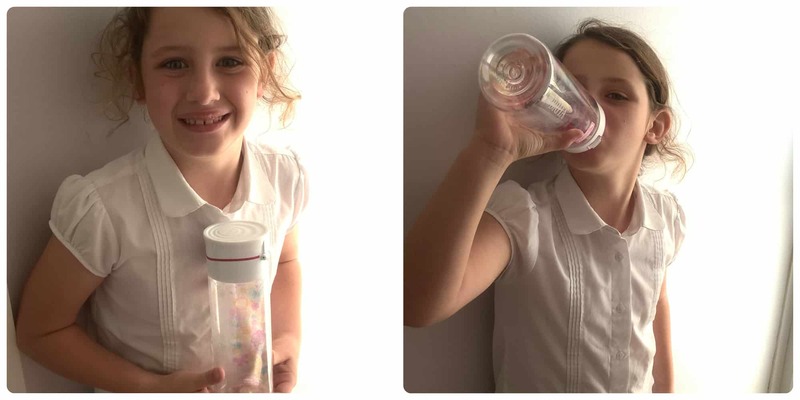 We received a selection from both the girls and boys ranges to see what we thought. First off is Mister B who is due to start school in September, he was very excited and I think he looks super smart in his new uniform. The red jumper is v neck and 100% cotton and looks great over the shirt. I’ve given it a quick wash which has performed well and I’m sure this will last well when worn at school. The grey trousers are what I expected but with the added bonus of a reinforced knee – this sounds like a godsend knowing we went through 4 pairs of general trousers through the knees over the last few months at home! The white shirts he tried are of excellent quality (excuse the pale blue tint – I must purchase some white vests for him before September! ), they feel well made with strong seams and what really impressed me was the collar button. 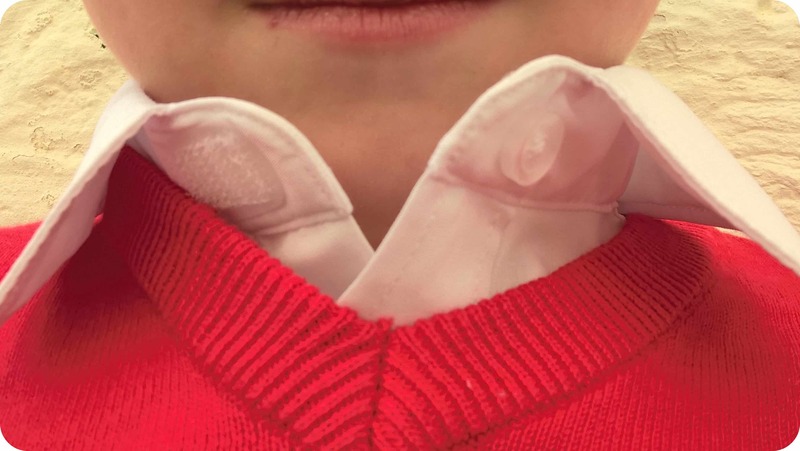 The button is sewn onto the outside to make it look real, but actually inside there is velcro to do the top of the shirt up, making it super easy for little fingers to do. The school shoes are coated leather with a chunky sole to withstand wear and I think they look really smart. They are also very easy to get on and off, with just one large velcro strap that Mister B really got to grips with. 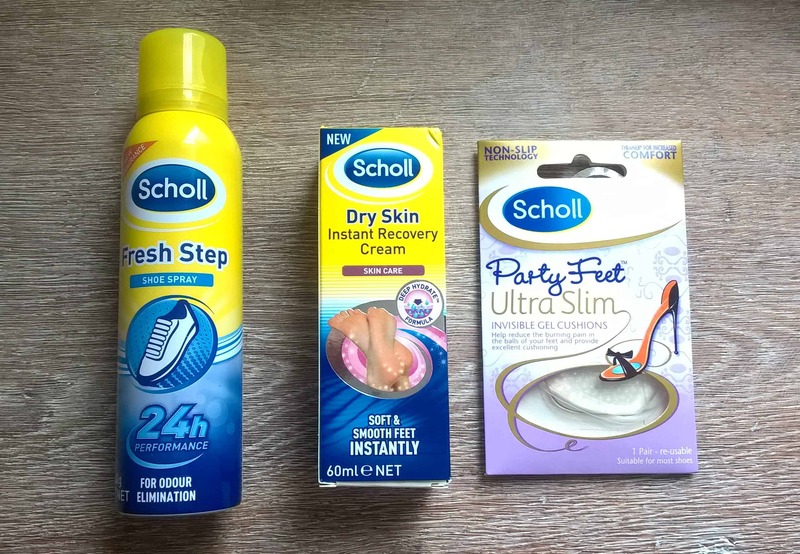 The plimsolls are of a high quality to ones I’ve brought for my daughter previously and having a velcro tab across makes them easy to put on and you can adjust accordingly for a tight fit. Mister B loved these and asked if he could wear them everyday!! Unfortunately not, they are just for P.E.!! I chose some patterned grey socks which were a bit nicer than the plain school selection and I have to say these don’t disappoint. They are all really soft, making them very comfortable on the foot and something Mister B loved wearing. Miss M was thrilled with her new blouse, it has pretty flower buttons and and lovely embroidery on the pocket making it stand out a bit from other plainer blouses out there. I like the curved collar and shaped sleeves. There’s also flower buttons on the cardigan and a bow design on the pockets. Miss M loves the pockets and finds them useful for things like a tissue, we often find a lot of cardigans don’t have pockets, so this one is perfect. 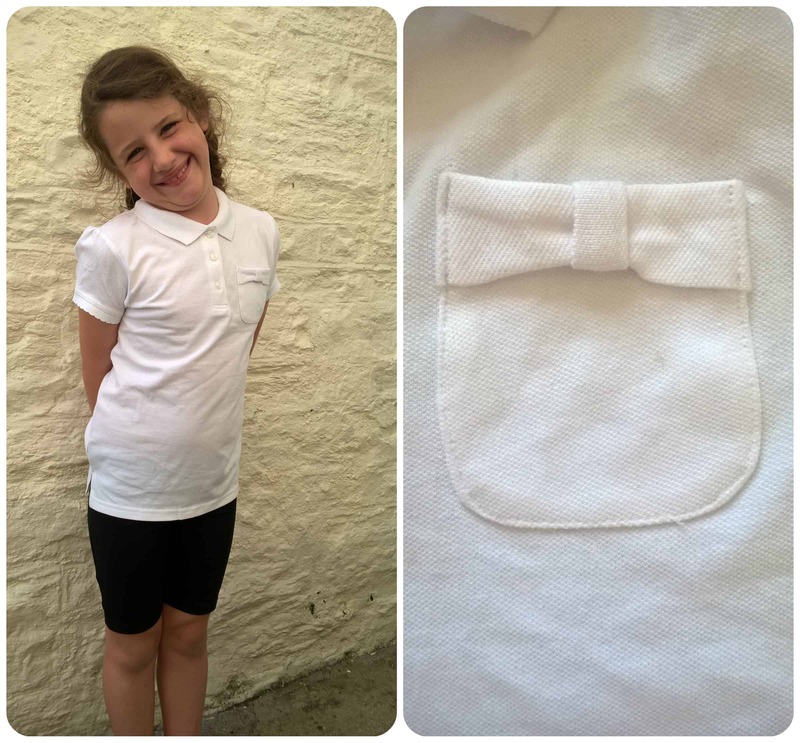 I also like how the cardigan pocket bow detail matches the pocket on the white P.E. tops. The P.E. tops also had a nice scallop around the sleeves and a slit up the sides making them look really stylish rather than your bog standard polo shirt. The black girls P.E. shorts also proved really comfortable as Miss M has worn them to her gymnastics crash course this week and can’t wait to take them to school for P.E., one of her favourite lessons! Everyone needs a school bag and Miss M likes a backpack that she can put everything in, such as her cardigan, waterproof mac, lunch, pencil case and homework. 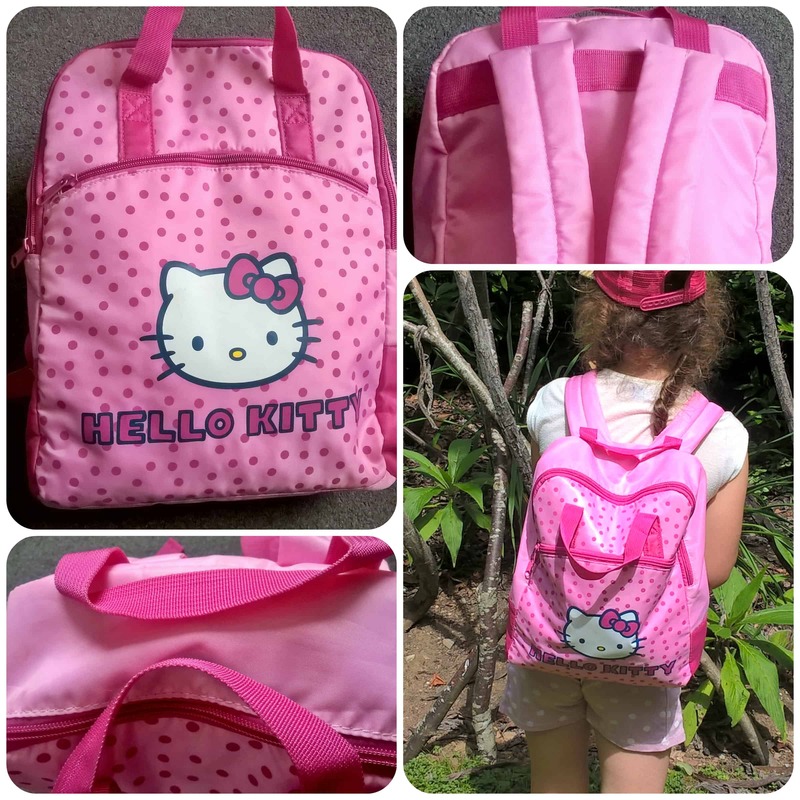 This Hello Kitty bag has been a big hit with her and she has used it everyday already on our day’s out or visiting friends etc. 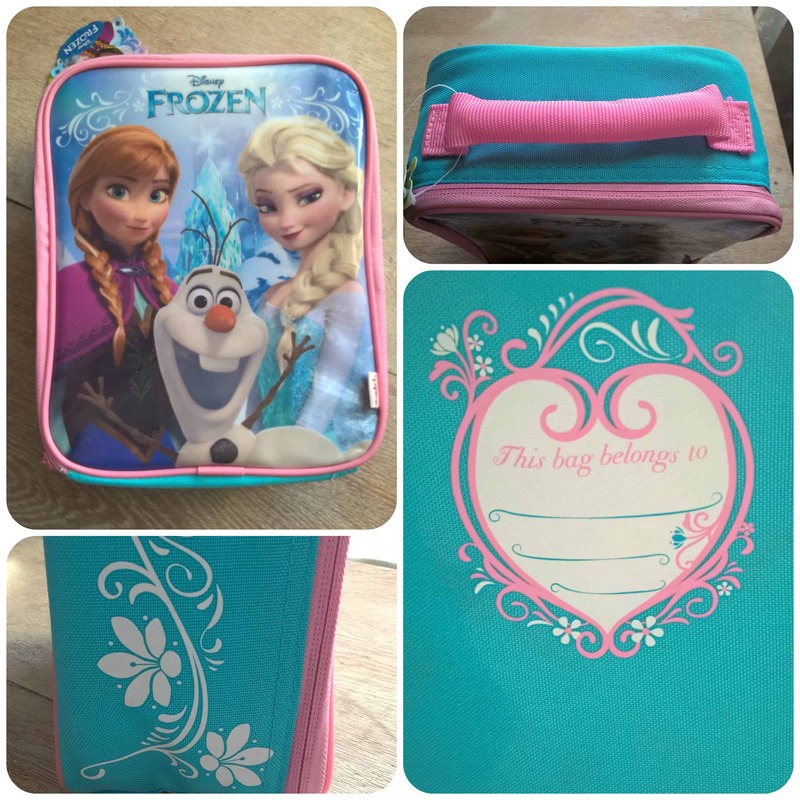 The bag has lovely padded sides and is a nice quality. There is a pocket on the front and two handy carry handles on the top to use if it’s not on your back. The only thing I’d like to have seen to improve it would be a drinks bottle pocket on one side as this would have been very useful. Overall I am very pleased with both the quality and style of the school uniform range from F&F, and it is definitely a brand I’d go back to again. The children are happy and feel comfortable in their pieces and I can’t wait for them to start wearing it all daily in September. 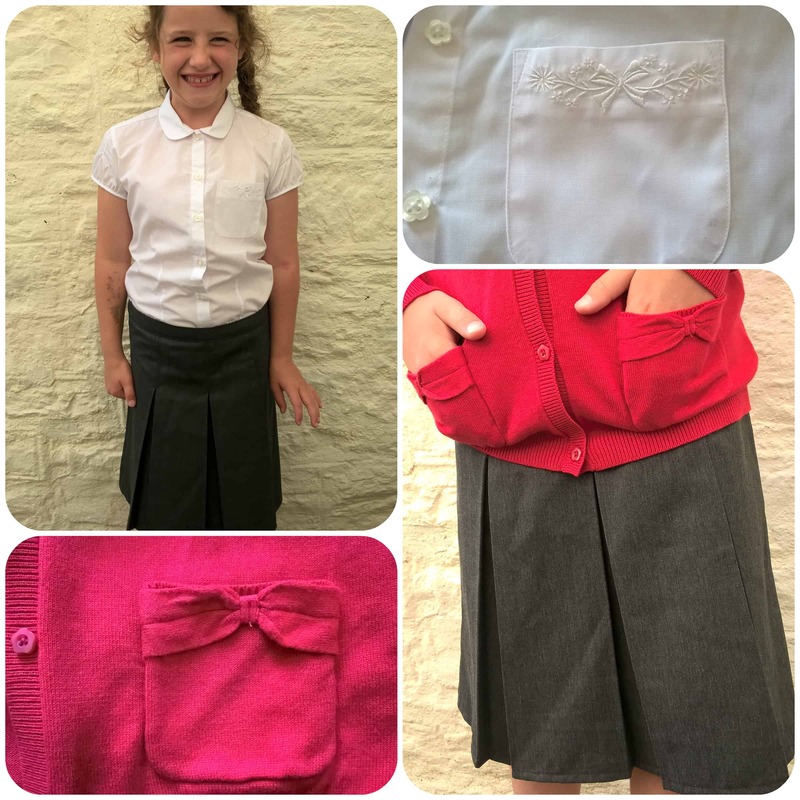 Have you got all your kids school uniform for September yet? Be sure to check out F&F, some great value pieces! All reviews are my own and my family’s opinions and we received the uniform in order to write the review.